How to Write Better & Correct Your Grammar? Are you aware that the subject of Grammar is not a new one? In fact, the history of English grammar dates way back to the ancient period. It is true that over the years the approaches have evolved and undergone dramatic changes. The importance of English cannot be undermined. All across the globe, there are millions of English speakers and writers. For effective communication grammar is crucial. It is the meaningful words through which you express your thoughts and ideas and so it is vital to gain a mastery of grammar. It is often seen that there are many people especially those who are not native speakers of English spending a great deal of money and time in learning this language. They often take resort to traditional methods by attending classes. Nowadays online learning has emerged, and quite a few individuals depend on these online resources too. 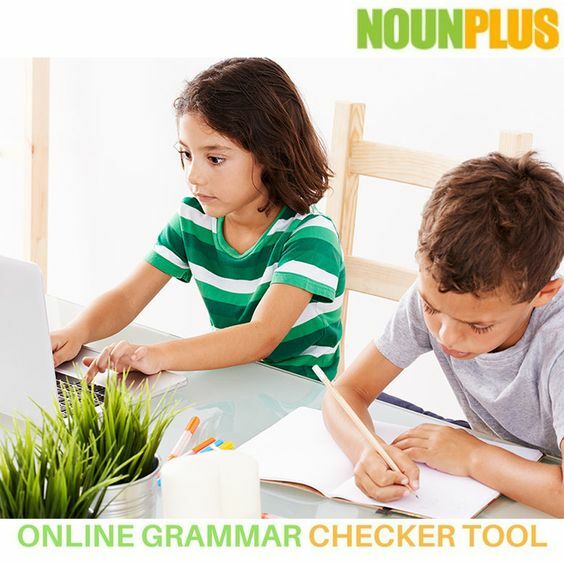 You should take a look at the NounPlus website and start using the Grammar check tool at free of cost. There are quite a few people who believe that the native speakers of this language do not need to study Grammar further because of their awareness of the conventions of this language. As a university student, you will come across numerous assignments. You can score a higher grade in most of the coursework if you have better skills in English grammar. Use the Grammar checker tool for making an assignment free of grammatical errors. In English speaking countries even the illiterate people can speak English fluently. However just being able to talk well will not fetch you a high paying job. Maybe all you can end up with is a job in the call center or a clerical capacity in one of the financial institutions. So you need to focus on your other skills and writing abilities to get a decent paying job. If you want to excel in your professional field, then you cannot afford to ignore English. Your English skills become all the more important, the higher you climb up the corporate ladder. If you want to change jobs, then you have present resumes to the companies. The recruiting company will gain confidence if he gets a resume with organized contents. In the professional sector, you have to interact with clients and concentrate on building relationships with them. You have to communicate with them through emails. Well written grammatically correct sentences are important in this respect. If you are a team leader, then you will be required to give presentations. Your writing skills will be essential for laying out the actions plans for your current project. An organized presentation will gain the confidence of the ones involved in the project including your seniors. You should conduct research and find out the names of some of the organizations who have specialization in providing online grammar tools. Choose a trustworthy one which is capable of producing error-free contents. Grammar Checker Easily Rectifies Your Writing! Do you feel that you to work on your English vocabulary? If you have to take resort to English for business communications, then you will need to improve on your abilities to write and speak in English. For professional interactions, it is necessary to have a proper grasp of English. Otherwise, you will fail to communicate what you intended to convey in writing in the right manner. The importance of written communication can never be undermined. In the business world of today written correspondence holds a prominent position. For the growth of business you will need promotional materials, and for that purpose effective written communication is essential. 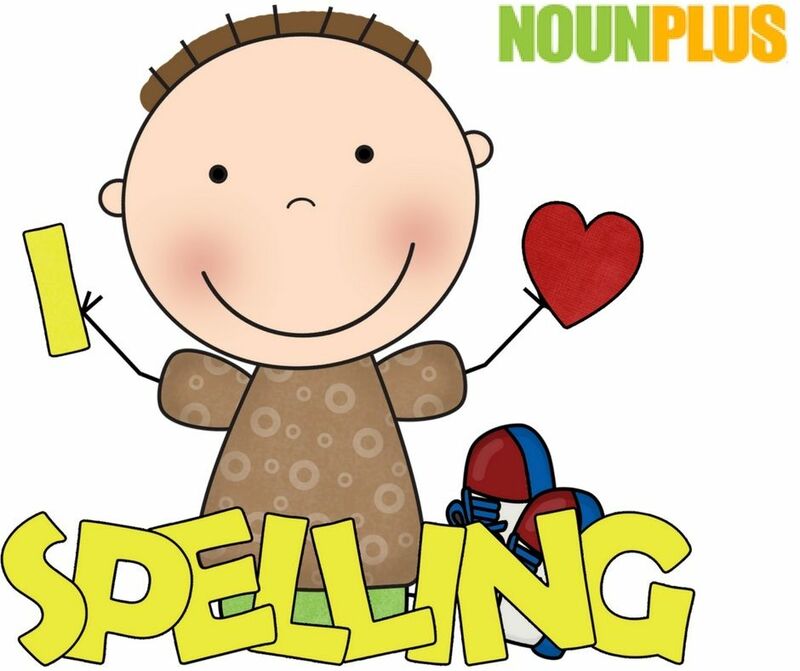 Go through the website of nounplus and you will find that you can improve your English spelling with the help of Grammar check. The various modes of written communication are highlighted below. One of the popular modes of communication is through emails. The transmission of messages from the sender to the recipient takes place through electronic mails. On the same lines, the receiver may send her response via another email. You can get instant grammar suggestions through Grammar checker tool. The notice is one of the most effective methods when a lot of people have to be contacted within an enterprise. When informal messages relating to routine matters are required to be transmitted to various members of the same organization, then a memo is utilized. Internal circular is appropriate for internal communication especially when all the employees are required to be notified at the same time. The different aspects of the business are conveyed to the employees of an organization through reports. Often complex concepts are written in a structured format along with a short introduction. From time to time bulletins are published so that the employees are informed about emergency situations. The announcements are generally released on important matters within a short time. If you trace the history, you will find that speech developed much earlier than writing. However, writing is much more formal compared to speech and in a sense unique too. To be an efficient writer you need to select your words carefully, as well as organize them in the correct order so that cohesive sentences are formed. From the reliability point of view, writing is way ahead than speech. Written communication is important because it lays down the necessary rules and policies for the successful running of a business organization. These permanent means of communication are important in those situations where you have to maintain records. In case of written communication, it is possible to delegate responsibilities properly. It is not possible to delegate tasks and affix responsibilities properly in case of oral communication. This is because the speaker may refuse to acknowledge the speech afterward. Take the assistance of online sites which offer grammar tools so that you can improve the quality of your material. Make sure that the website you have selected provides the scope of privacy. How can a Grammar Checker help you to improve writing skills? Writing is not everyone’s cup of tea. This is even true for all the English speakers. It is a skill like speaking. It is even more difficult for those whom English is not their mother tongue. We make a lot of mistake while writing especially grammar. It is often said that in English language, grammar lays the groundwork for effective communication. Sometimes the error we make is hard to find and therefore we often end up making mistakes. There are no more worries about this confusion. The grammar checker is an advanced technology or rather a software tool that corrects the English that has been written. It not only does the simple task of a grammar check but also improves the sentences and the writing as a whole. They are designed to enhance the function of basic editing and proofreading functionalities of conventional word processors. A good and proper English writing is very important when it comes to presentations and assignments. Correct grammar, proper punctuations, right sentence construction, and right spelling all contribute to the so called good writing skill. A spell checker tool can improve your writing skill through the many ways. Usually, for a student, a write-up assignment comes with a deadline. To meet the deadline and in that moment of a rush, they are bound for many mistakes. This tool identifies the spelling mistakes as well as the grammar of the sentences. When the command is given for a grammar check, all spelling errors and grammar mistakes are highlighted with an option of substituting by the right words and correct grammar. This tool allows us to see the mistakes and also provide the correct words and vocabulary. The software make us aware where the right articles, punctuations, and sentence constructions should be used. 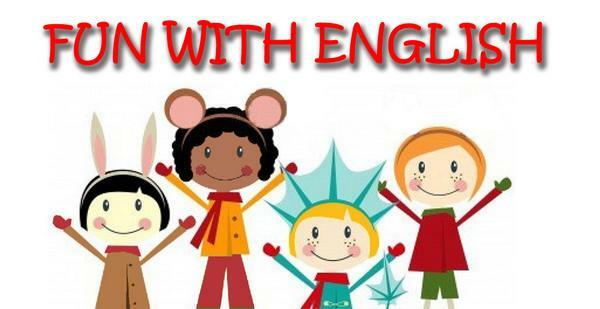 This enhances our knowledge of English and further improve our writing skill. This tool also indicates or highlight sentence construction mistakes. Such highlights make us look into the matter once again and make us see what went wrong. All the sentence construction mistakes missed out in the manual proofreading is highlighted. Properly constructed sentences are also made available and thus teaches us to improve our writing skill. The tool identifies the error in the form of article used, super-verb relationship, contextual spelling mistakes and also identify confused words. The good thing is that is not the end and with the use of grammar checker it is no more a nightmare when it comes to writing. It helps you provides the corrected errors. The evaluation is rather a learning process. You come to know what words were supposed to be used. Thus in this way, it improves your grammar. The tool lets you know what is wrong and help you see the mistakes. With the use of this particular tool, it has become much easier to write English in a perfect way without making any grammar mistake. Thus in this way, this tool improves writing skill. How Can Grammar Checker Benefits In Your Writing? The major reason behind the implementation of the Proper Grammar Checker is simply to improve the fundamental altering and editing functionalities of regular word processors. Enhancing the English writing abilities of an individual requires proper teaching and practice. There are many advantages of utilizing English spell checker tool as it helps in composing the archives without committing any syntactic errors. It would control you how to be firm with the syntax rules. To be ace in any dialect isn’t simple. One has to think about every one of the principles of English dialect. The English language structure programming is accessible on the web. It causes you in enhancing English and composes the content without conferring any blunders. The accompanying blog will demonstrate to you how you can grammar checker help in your writing? In a matter of second, rectify your English linguistic usage in terms of composing by the utilization of proper innovation. The usage of Proper Grammar Checker concentrates on the sole critical objective: enhancing the English composition capabilities of a person by breaking down content into chunks, recognizing any grammatical or spelling blunders, and finally altering and revising them. The majority of these grammar checker tools precisely breaks down your content and afterward adjusts it according to the acknowledged composition database. This innovation offers the accompanying:, accentuation, and spelling, checking for legitimate sentence structure and infrequently few of them offer content enhancement. * Enabling us to better express our considerations and thoughts. * Improving our style of composition. * Providing additional abilities which don’t exist in regular word processors. We could presumably check different points of interest that are not secured here, as this checker tool is always advancing, bringing us new changes that assistance us on enhancing our English written work. Spellcheckers works this way: they examine your content, break down it and following acquiring the mistakes they show them to you while sending you to a more noteworthy expression, or a substantially more adequate expression. Normal spellcheckers don’t be able to recognize the significantly more unobtrusive mix-ups: they can find only stage out the most generally experienced missteps in the utilization of one dialect. More refined spellcheckers can reveal extraordinary mistakes as successfully and much more: they can redress your accentuation and language use incidents. Predominant spellcheckers likewise supply these services: editing, remedying spelling and language structure goofs, and checking accentuation. Utilization of Proper Grammar Checker facilitates us in finishing the major aspect of our written work assignments – editing our content. One of the most important advantages gave by this innovation is that it empowers us to gain from our own particular written work botches, so we won’t rehash them in our next composing assignments. Without a doubt we can anticipate that this software or tool will additionally create itself, for a solitary reason: composing is among the most critical instruments that assistance us speaking with others. What are the Myths and Misconceptions about Grammar? The importance of good grammar cannot be underrated. 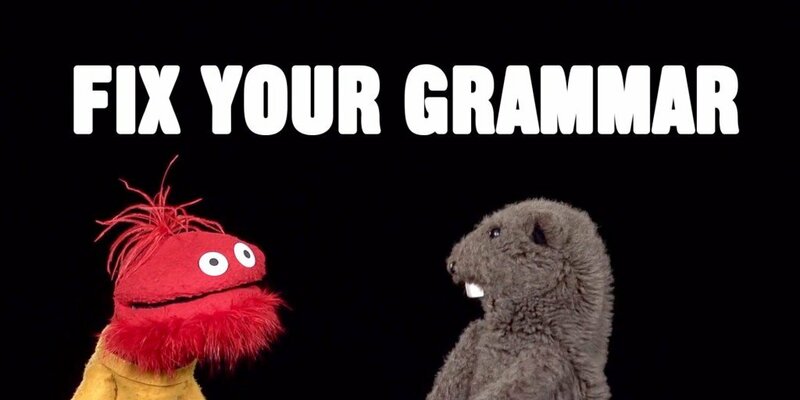 It is hard not to admire someone who always brings correct grammar on the table. But one question that lingers in everyone’s mind is, ‘Why can’t everyone just be fluent with grammar?’ Is grammar reserved for the classes and is a far-fetched dream for the masses? And even if one understands grammar well, how can one determine whether his usage of the language is absolutely correct and not fabricated? Well, it’s not as difficult as it looks like. If the common myths and misconceptions about grammar are done away with, it’ll easy to make friends with grammar. 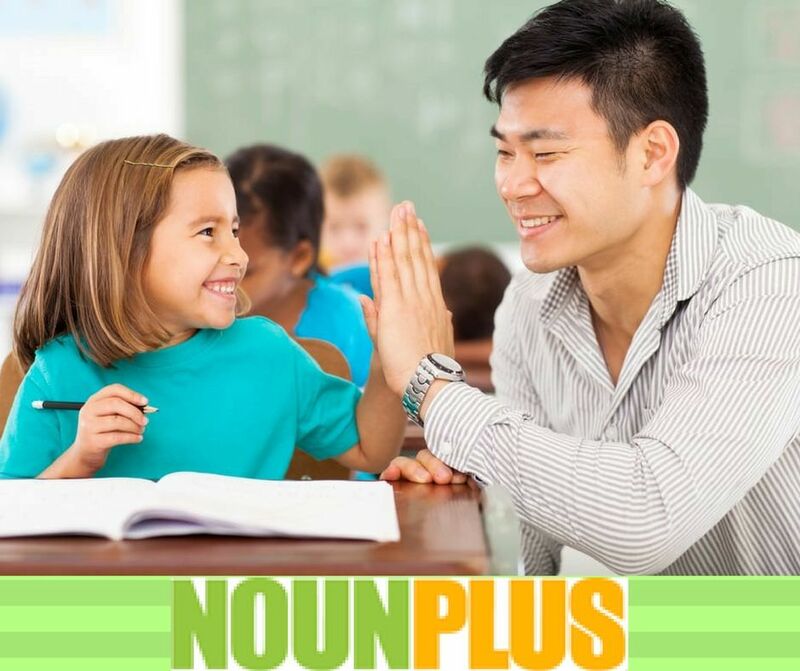 You can also easily remove common grammar misconceptions by using NounPlus. Here’s a list of the some of the common widespread myths about grammar. Yes! We have all learned this law in school but perhaps misunderstood the actual usage of it. ‘A’ and ‘an’ should be used before words starting with consonant sounds and vowel sounds respectively and not before the words starting with consonants or vowels per se. Meaning, it is correct if you say ‘an MBA’ and not ‘a MBA’. The reason being though ‘MBA’ starts with the letter ‘M’, a consonant, its sound is that of a vowel, ‘e’. Just like a newborn can easily grasp his mother-tongue after some teaching from his parents and some self-learning, everyone can get the grasp of grammar by taking lessons, from someone good with the skills and some self-investment of efforts. Most important is to get the basics correct and then just go with the flow. There’s a reason the grammar rules have both, active and passive voice. Neither of it survives severally and neither of it is incorrect. It actually depends on the sentence. Passive voice is useful when you don’t intend to name the person performing the action. For instance, ‘Mistakes are made’. Here, since it is not known who makes the mistake, passive voice is best suitable for this sentence. Uncommon phenomenon, it should be perceived as an integral part of our living. While communicating in English, correct grammar should be treated as a pre-requisite and not disregarded as a pastime of the elite. If you too are one of those who believe that they two can be exchanged for one another, then sorry to burst the bubble. ‘E.g.’ stands for ‘for example’ whereas ‘i.e.’ roughly stands for ‘in other words’. Thus, ‘e.g.’ should be used to state a list of incomplete examples, and ‘i.e.’ should be used to provide clarification or a complete list. How to Improve English Spelling and Grammar? English is certainly one of the languages that are spoken all over the world. So be it academics or business, this language is a tool that helps in making communication effective. There are people who speak in English but the most common problem with non-native English speakers is that they end up making many mistakes while speaking and writing in this language. The most common question asked by English students is that how to improve spelling and grammar? It is not a rocket science as by investing even an hour a day can make a great impact in the way one uses the language. 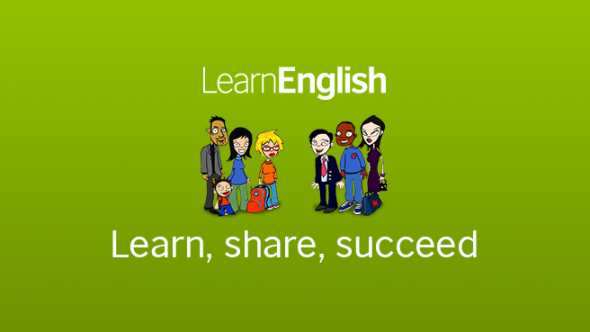 There are also free software that is available on the online platform to assess if one is using the correct grammar, sentence structure, and vocabulary. NOUNPLUS is one of the best tools for assessing any text in English. It is free software that is really easy and simple to use and in a matter of few seconds one can actually assess a written text in English. This software is best to use for people who have to make reports in English and the one who are students. This software plays a great role in the learning process as well. Consistency is must: You should invest at least an hour on a regular basis to learn and practice English as this will also help in generating your interest while learning the language on a daily basis. Being consistent in your learning will certainly bring positive results. Read and write: You will feel really confident once you start reading and writing in English as by doing this you will get to know about the areas where you need to work more. Most of the times, people fail to understand the need of reading and writing and this is the only reason why they don’t feel confident while using English. Speaking: If you practice speaking in English, you will find that pronunciation and vocabulary will increase and you will also be able to be confident about the sentences you make. This is one of the easiest ways to improve your hold on the language. Take online help: There are websites that provide the option to hire a teacher for learning English and along with this you can also use grammar software that will help you assess your text and fix the mistakes that you have made in a text. The best part about such software is that they are free to use. These are some of the simple ways to improve your English. You can also use NounPlus as it is a tool that will help you to figure out the mistakes in a written text and it also provides the option of correction of those mistakes. Login today and get the free services of this software. Most of the businesses use the English language as this is the language which most of the people understand all over the world. When we talk about this language, there aren’t any doubts that even a less educated person in today’s time ends up using many English words, but while talking about the professional use of the English language we cannot just choose the layman’s way of using it. Read along to know more about it. Business communications actually tell a lot about a company and the kind of employees who work there. The most important factor that is considered in almost all the business organizations is the use of the language that is used in communication, it is obviously English in almost all the cases but here we are talking about English but the correct manner to use this universal language. There are websites that provide free Grammar Checker to provide the right understanding of the English language. Right Impression of the company: A text or emails that a person sends, it gives an actual idea to the reader that how much hold the writer has on the subject on which he is writing and it also tells about the hold on the language. To provide the right impression of a company, a person should always write in correct English and the special attention should be given to the grammar and spellings. Building good relationships: The aim of a company is to build good future relationships with the clients and with the correct correspondence that is exchanged between two companies it becomes easy to build the foundation of a business relation. So, if a person wants to make his company successful then he should always provide attention to all the factors related to the correspondence that is sent out to the people. Send the right message: Writing wrong sentences and words send the wrong message to the reader and these results in the bad name and loss it brings to the companies that are dealing with each other. When we say, using the language in the correct manner, it basically means that the sentences provide the exact message that the writer wants to give to the reader. Better understanding means better end results. Assessing a written text has now become easy as now there is free instant online grammar checker that provides the option of correcting the errors in a written text and the best part is its free! Noun Plus is one of the known names on the online platform as it provides the option of finding the errors in a written text and it also provides the correct usage of all the factors that make a piece of writing efficiently. Try it today for better writing experience for business communication.